Our Synaptum® integration for Salesforce gives immediate access to omnichannel customer insight, collected automatically on any customer contact channel, delivered back to records and cases and with no agent selection bias. 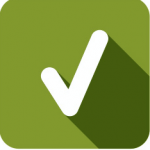 VirtuaTell drives the Evolution of Salesforce Customer Feedback by using feedback invitations, triggered in real-time by any Salesforce customer event, data update, schedule or custom object, ensuring feedback is collected fast, honestly and in a completely customer friendly manner. 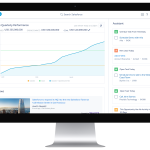 Supported by our hugely experienced Insight Team, Salesforce users can soon deliver the best-of-breed feedback methodology on any contact channel. It is already known that 75% of customers agree that their survey experience influences their overall impression of a company (“Closing the Customer Feedback Loop,” Gartner’s CEB Leadership Council) and that is why the VirtuaTell Insight Team provide best practice for every stage of the feedback collection, including the invitation process as well as the surveys themselves. With a 100% focus on increasing survey opt-in rates, our team will deliver the best CX feedback you have seen. According to Salesforce, a Gartner study found that 84% of survey respondents want to know how a company will leverage the feedback collected, while 78% of respondents say they rarely hear back on any results or changes made based on customer feedback. 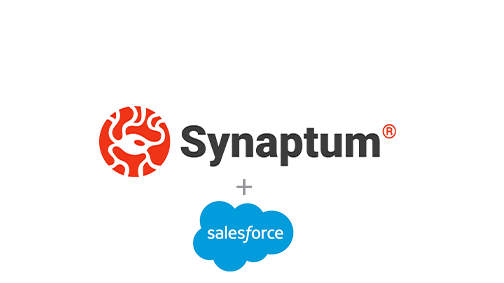 Synaptum integration with Salesforce, delivers the feedback data directly back into the customer records, often triggering real-time alerts to drive proactive information engagement with your customer base. Because staff can see previous scores and responses, often an agent can inform a customer of the progress made based on their feedback. And what about the over-surveying issues highlighted by Salesforce? Again, our Synaptum integration with Salesforce means that our CXBot® AI based decision engine knows what survey – and even what questions were asked – of each customer and ensures there is no over-surveying and each set of questions asked are tailored to each client. Also, by interrogating Salesforce to understand what triggered the customer contact and using the information held in each customer account, feedback invitations and survey questions can be personalised and relate directly to the customer and their account. Contact us about the use of our integrated CX surveys for Salesforce to trigger CX feedback requests, enhance Salesforce customer data, use events and deliver feedback results back into the customer records, completely automatically. Survey Hints & Tips: What are the biggest mistakes people make when creating a customer satisfaction survey? At VirtuaTell we deliver surveys on your behalf through a variety of devices; over the phone, online, via SMS or by email. Each of these methods may have its preferred style of question or way for customers to answer. But what is universal between them is that none of them are ideal for surveys that are too long. It is an easy error to make, borne out of a genuine productive desire to understand as much as possible about how customers view your company and how they feel about the service they are receiving. Often, a survey may have had multiple contributors and therefore contain all the questions for all departments. But remember, these surveys are an extension of your company. The surveys bear your name and are a reflection of your brand. So if they are verbose, long winded and assuming your respondent has nothing better to do with their time than work for you, THAT is the thoughts that will be associated with your brand. So why not try to make them as efficient and as pleasant to encounter as your staff. People have busy lives. Don’t assume if you are calling a customer to answer a survey that they have time. Start your survey by explicitly asking your customer if they have the time to spare, and if they don’t email the survey through to them to complete when they do. 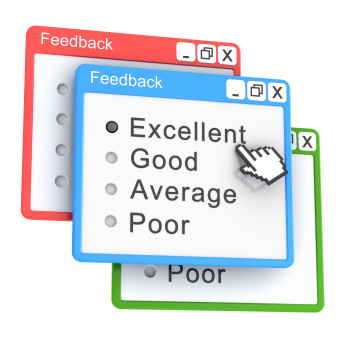 VirtuaTell use real-time customer satisfaction surveys because they are the most accurate means to get customer feedback AND ensure the results are unbiased by the passage of time. If your customers are rushed into answering your questions when they really don’t have the time, then you run the risk of getting ill-considered and inaccurate results. In an online survey tell them up front that the survey won’t take very long to re-assure them that it won’t take up too much of their time – then DON’T! If they called you, offer a telephone survey. If the e-mailed you, offer an online survey and so on. Multi-channel surveys including the phone channel, are what VirtuaTell specialise in. Despite what you may have been told in school it is not always 100% necessary (or even helpful) to use grammatically correct sentences or verbose, superfluous, elaborate wording in your survey. The most vital goal when writing your questions for VirtuaTell to deliver, is to be able to communicate what you require accurately. And succinctly. New York, New York was so great they named it twice. This point is so vital that we have included it twice. We can’t stress strongly enough how important it is to keep you surveys concise. For details of our KISKIS methodology, click here. Offer the surveys in real-time, immediately after the customer event. On many occasions, companies wait far too long before offering surveys. During this time, the customer has forgotten half of the experience they had and either answers incorrectly or untruthfully. Either way, you are basing your decisions on false result data. That is why VirtuaTell specialise on conducting real-time surveys, immediately after the customer event. If you ask a series of vague questions you will create lots of information but you won’t be able to quantify and analyse the results easy. A text question or voice recording gives you lots of valuable detail but these need to be supplementary questions to a question where you ask them to rate a service on a fixed scale. There is an art to finding the right words to use in your surveys. Or perhaps that should say: There is a science to writing surveys that get the best results and if you are using automated phone and online surveys such as those supplied by VirtuaTell there are even more “do’s and don’ts” . If not done correctly the language that you use to phrase questions can ultimately have an unintended impact on the results you receive. Linguists and academics have spent decades researching the effect that different words, phrases and sentences can have on the way we think. Design all surveys with the customer environment in mind. You are unable to monitor the environment in which your survey is being completed but you DO know if an SMS survey will be read on a mobile phone or an automated phone survey will be heard via a telephone, so design the survey for that medium. SMS surveys should be short, online surveys should be well designed and easy to read and Phone surveys should be worded for the ear, not the eye and should factor in the possibility of external noise. Keep to the same scales where possible. In designing surveys, it is imperative to remember that respondents are helping you out. Therefore, try to keep their mental stress to a minimum. 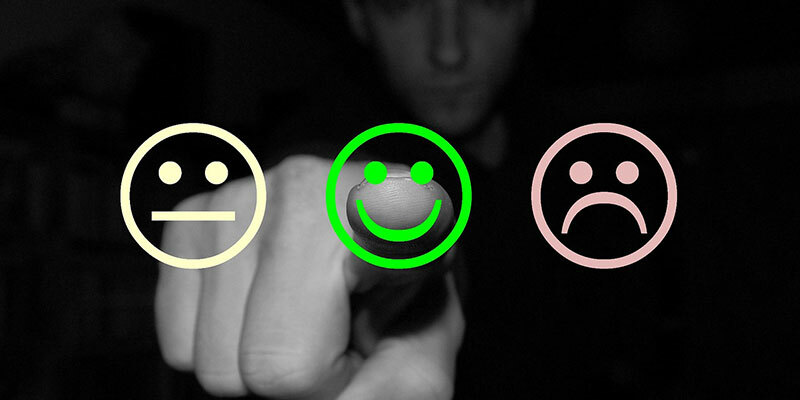 Switching from a question that asks for a numerical rating (1-5, 1-10 or the NPS score, 0-10) to one, that rates levels of satisfaction(Very Satisfied, Satisfied, Disatisfied, Very Disatisfied), to one that seeks to ascertain how closely a customer agrees with a statement(Strongly agree, agree, disagree, strongly disagree), is mentally demanding for them and likely to be off-putting so try and keep scales consistent. Avoid using idioms and slang. Your customers may be foreign-born or may have a learning difficulty that prevents them from distinguishing between metaphor and literal meaning. Idioms and slang can cause confusion and arguably can sound unprofessional. But that doesn’t mean that colloquial language should be avoided – especially when using phone surveys. In fact, it is worth considering how a more relaxed and conversational tone could be used to help put respondents at ease and make them feel less as though they are undergoing a test. When asking text or recording questions, don’t ask leading questions. For journalists grilling political candidates that may be the quickest way to get at the truth. For your survey the act of suggesting an answer in the question is likely to bias your results and make them an inaccurate reflection of your customer’s experience. 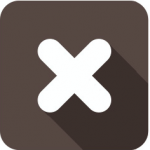 Capture verbatim recordings and open comments, especially as the final questions. 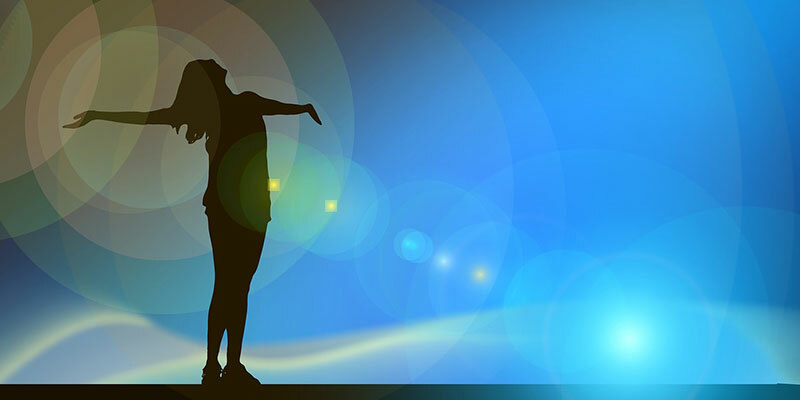 These open questions give the respondent the chance to say what is on their mind, in their words and are often the most valuable content available to you. DO NOT use them for SMS surveys (which should only be a single question or use the VirtuaTell SMS methodology). And finally, KEEP THE SURVEY SHORT! At VirtuaTell we campaign constantly to keep surveys short and don’t assume the respondent has limitless time to answer your questions. If you DO need more than 4 or 5 questions answered, cycle, randomise and spread the questions over multiple respondents. A short survey will result in someone being happy to answer another one sometime – a long survey penalises them for helping you out. For more information CLICK HERE to Contact VirtuaTell. 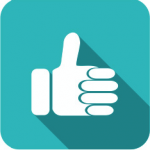 Why Use Net Promoter Score to increase customer satisfaction and why should I use it? Do you know what proportion of your customers would recommend your product or services to their friends? And does this number outweigh those people who have had a bad experience with your company? The difference between these two numbers is known as your Net Promoter Score and is one of the most vital pieces of data that will determine your future growth as many VirtuaTell clients know. To calculate the Net Promoter Score your customers are divided into three groups depending on their scoes following a field visit or a call to your customer service department: There are ‘Promoters’ who are loyal to one brand and enthusiastically encourage their friends and work colleagues to use your business. Some are ‘Passive’ consumers whose custom can be courted by special offers and lower prices. And finally there will be ‘Detractors’ – who have had a bad experience with the company that has not been rectified – who will dissuade those they know from shopping with you. The more Promoters you have in comparison to Detractors, the higher your Net Promoter Score will be. When they asked customers the ‘ultimate question’ their responses powerfully correlated to predicting future repurchasing behaviour. Companies who knew the answer to the ‘ultimate question’ could predict the loyalty of their customers, and therefore predict future growth. The Net Promoter Score of Amazon, Rackspace, Harley Davidson and Dell (all stable, growing businesses) are all between 50 and 80 percent, meaning that their satisfied customer are helping to market your business for you, for free! If you want to join the elite group of efficient businesses with a satisfied and growing customer base you too need contact VirtuaTell to learn how to maximise the capture of your own Net Promoter Score and establish a deeper understanding of your customer relationships and help communicate this vital information to your customer facing staff. Use VirtuaTell and the Ultimate Question to grow your ultimate business!